Why let all of your ideas die with you? Current copyright law prevents anyone from building upon your creativity for 70 years after your death. Live on in collaboration with others. 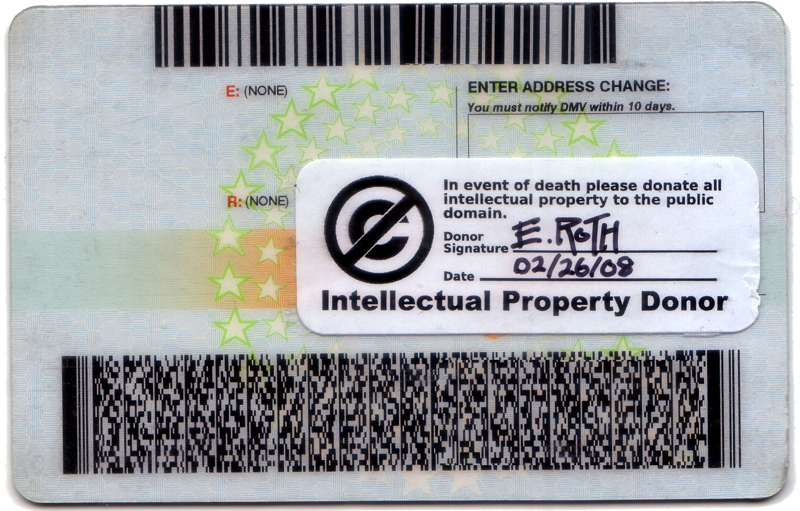 Make an intellectual property donation. By donating your IP into the public domain you will "promote the progress of science and useful arts" (U.S. Constitution). Ensure that your creativity will live on after you are gone and make a donation today.